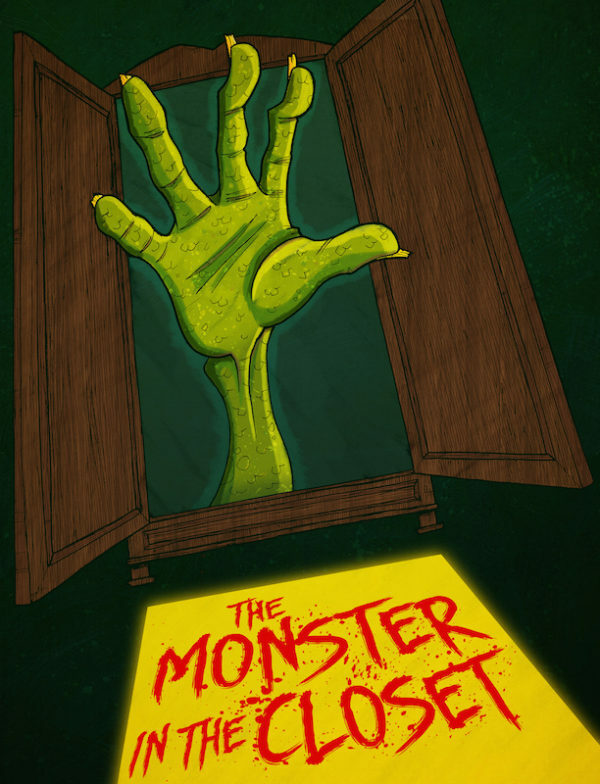 I recently drew this poster for a short film called “The Monster in the Closet“, which is being crowdfunded over on Indiegogo. The film centres on the relationship between a young girl called Charlie and her father Joe, who is losing his job as a B-movie monster. Life isn’t perfect and the story follows as Charlie begins to understand the world more, realising that there are obstacles in life and things to put up with. Charlie’s problems will occur in her school life and in her life at home as her father attempts to cope with life without his job. Hi, I'm Ollie! I'm a freelance illustrator from the UK, specialising in cartoons, character design and children's illustration. A graduate of Winchester School of Art, I've illustr… Show more. Send a message directly to Ollie Ray. “I have known Ollie Ray for some time now and, indeed, he became the illustrator for three of my books after I shortlisted him from a large number of illustrators who responded to my advertising. It was a decision that I have never regretted. As you will no doubt see from his portfolio, he is an accomplished young artist who is able to adapt his styles to suit most genres. He has proved to be a highly personable young man, dedicated to his work, affable - and a stickler for deadlines too! — John Clement, Author, "Stories from Giant, Witch & Fairyland" and "Down at the Bookies"
Hi, I'm Ollie! I'm a freelance illustrator from the UK, specialising in cartoons, character design and children's illustration. A graduate of Winchester School of Art, I've illustrated three picture books and collaborated with a variety of creative clients including bands, promoters, film-makers, magazines and theatre companies. I'm currently working on an illustrated children's story and teaching myself how to animate! Please feel free to contact me with any questions.